Showing results for tags 'terrain'. This has been under development for a while but we are proud to have it released today! Using a Chrome extension you can subscribe and load our libraries directly inside the PlayCanvas editor. We are determined in providing a list of editor extensions that empower PlayCanvas and solve case specific problems. Coming soon: Physics Painter P2P Multiplayer Animation Timeline Starter Kits Learn more: https://pic.pirron-rodon.one/ Athena Terrain Creator Create dynamic terrains from heightmaps with adjustable quality and multiple textures that render directly inside the PlayCanvas editor. Terrain creator is an editor extension that integrates seamlessly with the PlayCanvas editor. It provides tools that help you add natural terrains in your scenes and the ability to do object placement in a WYSIWYG way. Features list: In editor terrain generator from heightmaps. No need to include big terrain models to your app, reduce your download size to a minimum. Terrain generation on runtime is fast! Depending on the quality selected can be < 300ms. Support for single and tiled heightmaps, seams are properly calculated during normals generation. Why tiles? Benefit by camera frustrum culling to achieve greater performance. Support for infinite number of terrains! Take care of your polycount and you can have as many terrains as you like. Control your terrain model detail by selecting the number of subdivisions. Control your terrain total size in all directions. Support for colormaps with up to four texture channels. The splatmap shader uses the PlayCanvas shader chunks system supporting all lighting/rendering effects. The terrain model generated uses a standard PlayCanvas material for lighting. A collision component is added that allows compatibility with other editor extensions coming soon. A special terrain-runtime.js script is added to your project to generate your terrain on runtime. All terrains generated are yours to keep! All extension fields include detailed tooltips with usage instructions. Coming soon: API pc.Events that allow you to add your custom logic during terrain generation/texturing. Hey guys. Recently I started working with the Babylon Exporter in Unity to create a 3D scene. I read documentation and watch video about Terrain Builder, where says that you can use up to 12 textures to create a Terrain. But for me more than 6 not work. A black background is drawn instead of my texture. Why can it be? What are some options for creating terrain from heightmaps via NullEngine? I'm trying to create a serverside terrain for collision checks in a multiplayer game. The main issue is that Mesh.CreateGroundFromHeightMap involves loading an image and going through pixel data via canvas, none of which exists in node. Some ideas: Expose canvas + image api on the server: https://github.com/Automattic/node-canvas can provide Image and Canvas to NullEngine, though I've written a server side image processor recently that uses this tech and while it does work it isn't entirely straight forward because quite a few extra things need installed before it all works. I'm not sure how many babylon nullengine features use canvas/image, if its just this one then I doubt this route is worth it. Just loading the image in node: a small patch function that detects if we're in node and loads an image and gets its pixels using regular node fs. I'm not 100% sure how to do this but it sounds possible. This would kinda fork the logic inside of Mesh.CreateGroundFromHeightMap unless it was exposed in a new way. Go straight to the heightmap data and skip the images: https://doc.babylonjs.com/api/classes/babylon.vertexdata#creategroundfromheightmap - this does assume pixel data (UInt8 array of RGB? RGBA?) but has no dependency on canvas as far as I can tell. I don't understand the colorFilter (0.3, 0.59, 0.11) though, so someone would have to explain it to me. In my case I actually generated my heightmaps in node to begin with, and then saved them as images purely as a visual tool to see how the maps would look. I happen to be using these debug images and loading them into babylon because it works automagically! I could certain just skip all this and save them in some other format, like a 1D array of UInt8s (though in this scenario it would be ideal to skip RGBA and just have raw height data). I could probably add this to babylon by following the existing example if this is a feature people want. Once again I'm a total 3D noob, so if there is a much more trivial solution please let me know :D. I'm also willing to contribute, but I just don't want to make the wrong contribution. Hy there, I've been trying to implement this type of canyon but it seems impossible with heightmap, and then i found geometry builder, i think it's perfect for that but there's no tool or tutorial available to use it yet. Is there any way i can get around with this? Hi! This is a template project, for PlayCanvas, that provides a complete tiled terrain system based on heightmaps and colormaps. Example build: https://playcanv.as/b/Rhlm9CMz/ Some of its features:- Terrain generator from tiled heightmaps. The heightmaps and colormaps (splatmaps) have to be provided in a specific named notion. Included there are two sample terrain projects created with WorldMachine.- Texture generator from tiled colormaps (splatmaps). The user can provide up to 4 textures and the shader mixes them on the terrain based on the channels of the colormap (R,G,B and Alpha).- All methods included in the generators are run using an async loop, which splits them between the frames. This allows generation, rendering and texturing to be done during run-time creating only momentary pauses.- A special collision mesh can be created if required with a smaller subdivision count than the rendered model for physics/collisions.- Normals are fixed and re-calculated on border, during generation to avoid seams between the tiles.- A visibility manager can be configured to render only a specific number of tiles based on the active camera. The tiles get visible/hidden based on the position of the camera on the terrain. If memory is managed correctly this allows for infinite terrain size/tiles.- A sample actor is provided in the project (named Aj), with a simple 3rd person controller.- A random terrain distribution script is provided based on distribution maps which can be painted per tile or per the complete terrain. PlayCanvas has a batching API in the works which will allow combining multiple meshes to reduce draw calls, this will increase greatly performance especially when objects like flora are distributed on the terrain. Current version is v1.15 and the project can be found here. A tutorial on how to use this can be studied here. Hey guys, I'd like to know if there is a way to represent an animated polyline moving from point A to point B on a mountainous terrain. The idea would be to show a track like this: https://www.relive.cc/ , you can see it in the demo video. I understand that this functionality does not exist in Babylon, and from what I've read, the Babylon.Ribbon only allows for vertices to change position but not for adding new vertices. But anyways, what would be the steps for me to implement it from scratch? Thanks! Hi peeps, I've already published a similar topic not a while ago, but we couldn't really reach any conclusion: http://www.html5gamedevs.com/topic/32079-sprite-occlusion-for-performance/ I have this demo: http://devel.arinnova.com/tests/3dmaps/babylon_demo/ I'm trying to get a similar forest to this three.js scene: https://www.piste.io/#!/cortina . Notice how the forest is really dense and the FPS are really good. What I've already tried without success: 1) Loading meshes instead of sprites and applying LOD mechanism resulted in very low FPS. 2) Using mesh instances instead of sprites, still very low FPS 2) Temechon kindly helped me and coded a LOD function for sprites, but unfortunately it was more or less the same FPS as without the LOD. 4) Showing all the 54k trees, but using a particle system instead of sprites, which helped to reduce the draw calls, but the FPS were still low. 5) I've implemented a "poor man's LOD". I separated the 54k trees into 9 chunks, each chunk corresponding to a specific area. Then at every frame I calculated the distance from the camera to the central point of each area. If it was close enough to the camera, I showed the area trees and if not, I removed them. This way at each frame I had to calculate distances to only 9 points instead of 54k points, which helped but visually it was not pretty at all. Even applying a brown texture on the terrain underneath the trees, the chunks of trees appearing and disappearing all at once are very noticeable. 6) I also reduced the tree image size to 128x128, just in case, but I'm not sure it had an effect on FPS. Using an image of a pine tree or a leafy tree would create much more perception of a dense forest, but unfortunately I can't use those. The scene is a winter map of a specific real-world area with leafless trees and I'm trying to be as realistic as possible. A silly idea I've also tried was using an image of a group of trees instead of an image of a single tree. It obviously looked fake, especially when rotating the camera. Some other ideas that I've had but have not tried: Solid Particle System -> as it has more effect on performance than a simple particle system and I've already tried that. Octrees -> could this help me? I've read the tutorial but I'm not sure I understand how could I apply it to sprites. I don't know how camera.maxZ works internally, but is there possibly any way to apply it only to sprites, so the nearest sprites only are visible? Could I implement my own camera that does this? tldr; I'd like to show ~200.000 trees in my scene with minimal performance drawback. Thanks a lot in advance! Hey, I want to create a scratch card effect, as there are in games with luck and all where you scratch on some image and in the scratched area you can see the image below it. I think this can be done by manipulating pixels somehow, but i am not experienced with pixi and don,t know how to do it exactly. It will be a great help if you point out a way or tutorial to do it, or give a basic code snippet here to help me figure this mechanism out. Regards. Has anyone done this yet in babylon JS I see a couple of examples but none of the projects I can reference have worked out the camera height in the process or the blending between LOD layers. I am going to start trying to make a working example from the paper http://www.vertexasylum.com/downloads/cdlod/cdlod_latest.pdf but would like to see how others have handled it. I have looked at github.com/darrylryan/BabylonTerrain and github.com/felixpalmer/lod-terrain but both of these are limited to 2d measurements and because I am going to be doing this on a planetary level with Spherical displacement I need to go a step farther. Also I am wondering how I should handle the frustum calculations because in theory nothing on the backside of the planet will need to be rendered but how do I establish the "zone" is hidden on the other side of the planet? Check out my new tutorial on creating vehicles and terrain at https://loonride.com/learn/phaser/terrain-for-vehicles! 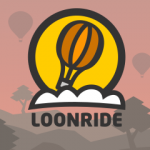 You can see the demo of this tutorial here: https://loonride.com/examples/vehicle-terrain/ Don't forget to let me know when you have created the next hit 2D driving game! Hello everybody! I am looking for procedural terrain generator. I'd like to achieve something like smooth hills or something like here. In the last link there is a beautiful and smooth terrain. I thought about Perlin Noise generator, but I am not sure if is it possible with this function. Maybe do you know something that I can achieve with. Hello everybody! I'd like to create a terrain that is moving in cycle generated from height map in effective way. I created mesh with new BABYLON.Mesh.CreateGroundFromHeightMap('ground', "http://i1198.photobucket.com/albums/aa455/BelindaSaxondale/album/HeightMap.jpg", 200, 200, 50, -20, 20, scene, true); So I have 200x200 plane with 50 subdivisions. Then I registered before render function in which I take first 51*3 points (51 vertices, cause there is 51*51 vertices) and put it at the end of position array of vertices data of mesh. So it should move the terrain in the cycle, but maybe I'm doing something wrong. Here is my playground: http://www.babylonjs-playground.com/#1CUE8G#5 . I achived something like this here: http://www.babylonjs-playground.com/#1CUE8G#3 but I don't think it's effective way. So I would like to have my terrain cast shadows on it's self, like the mountains shadow the rest of the terrain, etc. But when I try to do this by adding the groundPlane to the shadowGenerator, the entire mesh turns black. Is there a way to do this, or is this not something that can be done yet? I really hope to be able to pull this off!